Ford F-150 Raptor was firstly introduced in 2010 as a great off-road performer with muscle design. Not much has changed since that because the concept is the same. 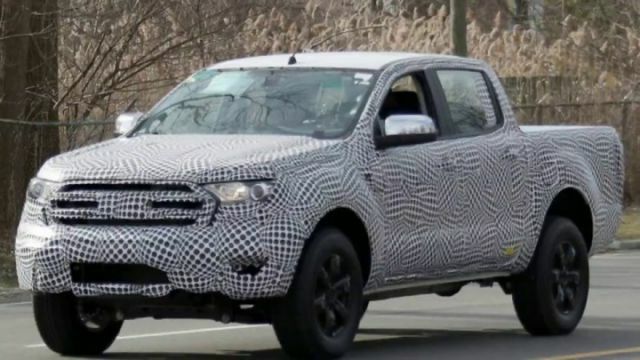 However, the 2020 Ford F-150 Raptor comes with new taillights and revised tailgate. The new Ford’s model will feature three new colors, and the interior is boasted with nice upholstery and new audio system. 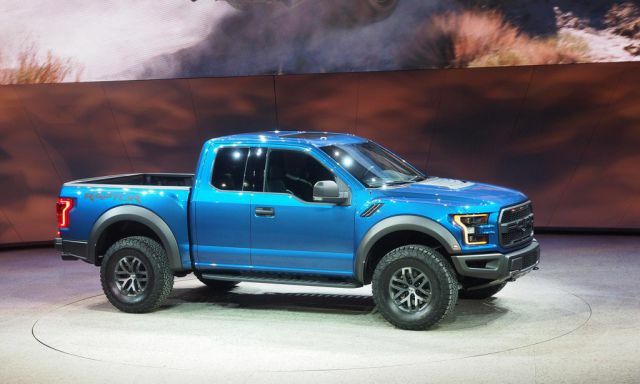 Unlike the regular F-150, the Raptor model will come with minor changes. The aluminum bodywork is doing a great job since 2016, and new Ford’s EcoBoost technology is available as well. The weight is slightly reduced and the frame is strengthened. However, there is also speculations that this model may get a Plug-in Hybrid engine. 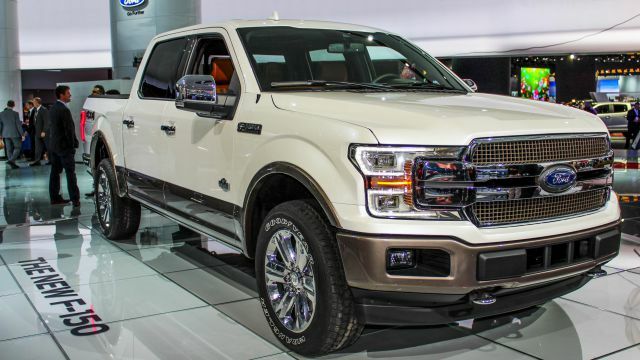 The all-new 2020 Ford F-150 Raptor comes with new blacked-out grille and front-end lights. The aluminum body panels are bolstered by flared fenders but the rest of the exterior is basically the same. Small updates are a new tailgate design with Ford logo on it and F-150 stamp coming as an option. The taillights are new and three new colors are available. The Guard, Race Red, and Lead Foot will replace colors like Ruby Red and Avalanche. The unique heavy duty skid plates will protect Raptor from off-road hazards, and the front bumper will remain the same. 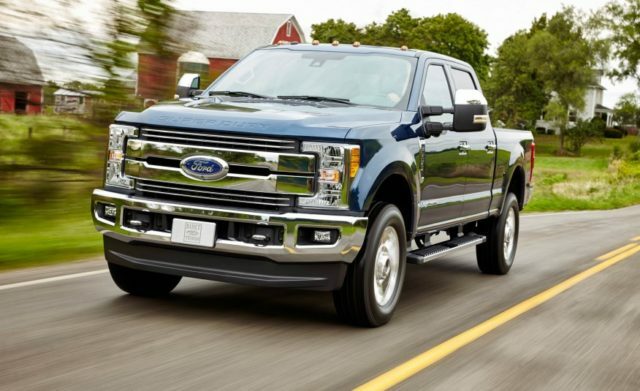 From standard equipment, front and rear tow hooks, integrated clearance lights and dual exhaust pipes are all available. On top of that, 17-inch wheels are also a part of standard equipment, while a set of 17-inch Beadlock rims will cost additional $1,000. With Super Crew model, a panoramic sunroof comes as an option, and it will add another $1,300. The Raptor’s interior is comfortable with some features like leather seats with heating and cooling options, unique color choices and soft-touch materials. The rear-seat legroom is best in its segment, even the smaller Super Cab models are providing 33,5 inches of legroom. 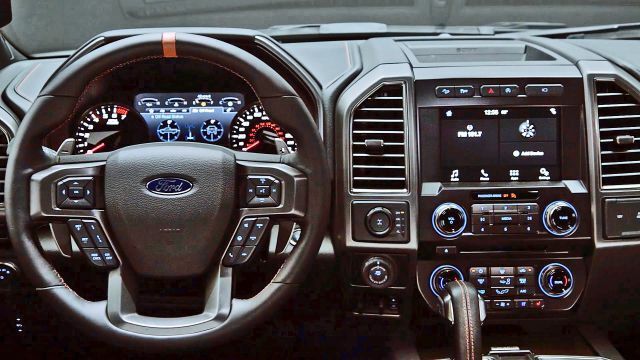 The interior is both attractive and useful like on the regular F-150. The dash is soft-touch, but some plastic materials look cheap on more expensive Raptor. While single-zone manual climate control is standard, an automatic dual-zone is optional. The steering wheel is leather wrapped and new ambient lighting system is optional. It comes with customizable colors too. The center console looks huge, but features that appear to be larger on regular F-150 looks just fine on Raptor model. Numerous switches and buttons can be found at the overhead panel and it looks excellent. You can add optional features on this panel, like off-road lights. 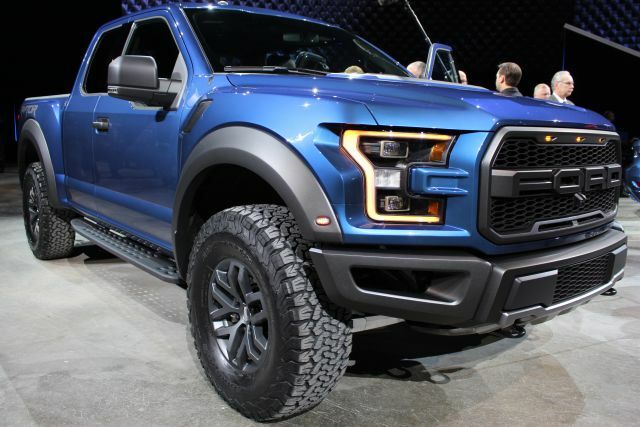 The 3.3-liter V6 engine with automatic 10-speed transmission will power Raptor, just like in previous years. This engine is producing 295 HP and 265 lb-ft of torque. 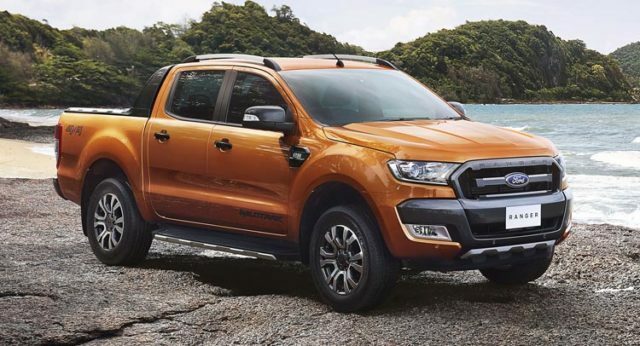 However, the 2020 Ford F-150 Raptor is now available with new EcoBoost V6 powertrain. This powerful unit can produce up to 450 HP and it comes with the paddle-shifted 10-speed automatic transmission. The model will give the top speed of 107 mph and it will accelerate in just 5.0 sec from 0 to 60 mph. Ford Raptor’s tow ratings are good, the four-door Super Crew cab can tow 8000 pounds, while shorter Super Cab model can carry 6000 pounds. The base price of the upcoming 2020 Ford F-150 Raptor is $51,500. If you opt for more spacious Super Crew cab it will cost you $55,500 but the enjoyment is far better. Raptor will debut somewhere around the beginning of 2020.